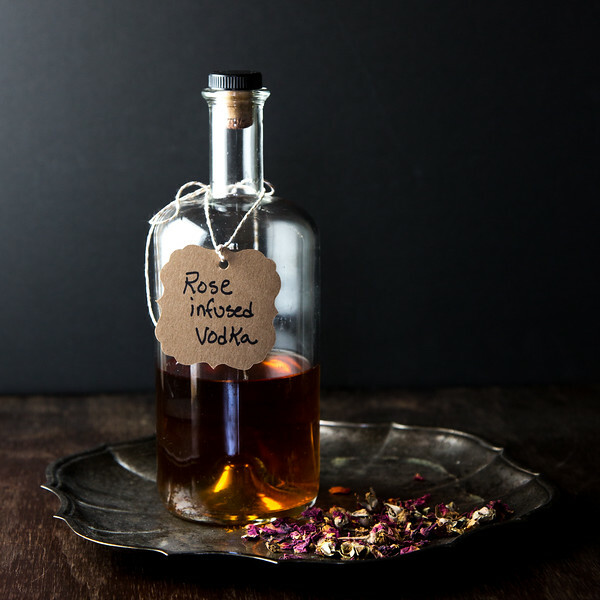 All it takes is a little time, a little vodka and some rose petals for this delicate Rose Infused Vodka. It makes a great gift for you foodie or cocktail loving friends! 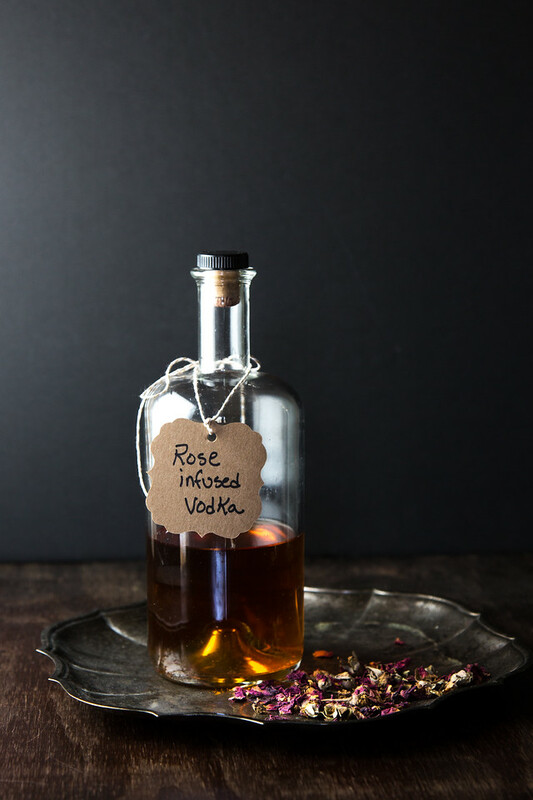 Click here to pin this Rose Infused Vodka now! Do you have a hobby? Gardening maybe? Crochet? Watching Nascar? I have lots of hobbies. I collect hobbies just like I collect buttons…hmm…could collecting buttons be a hobby? I have to include infusing things in my long list of hobbies. I love, love, love infusing alcohol. Perhaps you guessed that from my previous Spicy Cucumber Gin, Pineapple Jalapeno Infused Tequila, and Homemade Ginger Liqueur. I am always on the lookout for new flavor combinations, new infusions. Whenever I get a new cookbook or cocktails book, the first thing I do is bookmark all the infusions! 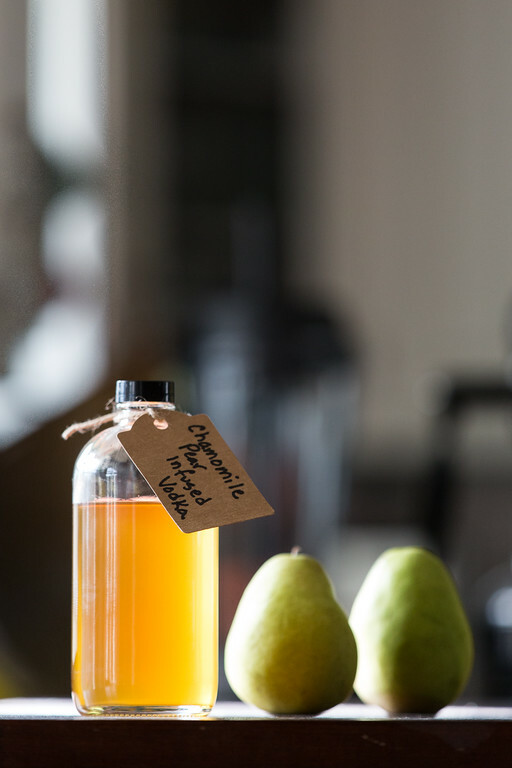 You get such bang for you buck with infusions. You start with a few simple ingredients, add in a little time, and you basically create magic. I am all for tasks where time does most of the work! I am intrigued by combinations that I never thought of. Like this Rose Infused Vodka from Winter Cocktails. This is the same book that suggested the Chamomile-Pear Infused Vodka mentioned above. For the Rose-Infused Vodka, they said that you could make it with gin or vodka and as a variation you could add 2 tablespoons whole black peppercorns. Since I wanted the flavor of the roses to shine through, I chose vodka, though after tasting it, I think it would also add a different and interesting flavor to gin. I have plenty of rose petals, since I bought these Culinary Grade Rose Petals, so I will definitely try it with gin. I loved this rose-infused vodka! It has a soft floral flavor that I think will be perfect in all kinds of cocktails. One of my favorites is this Vanilla Infused Rum! 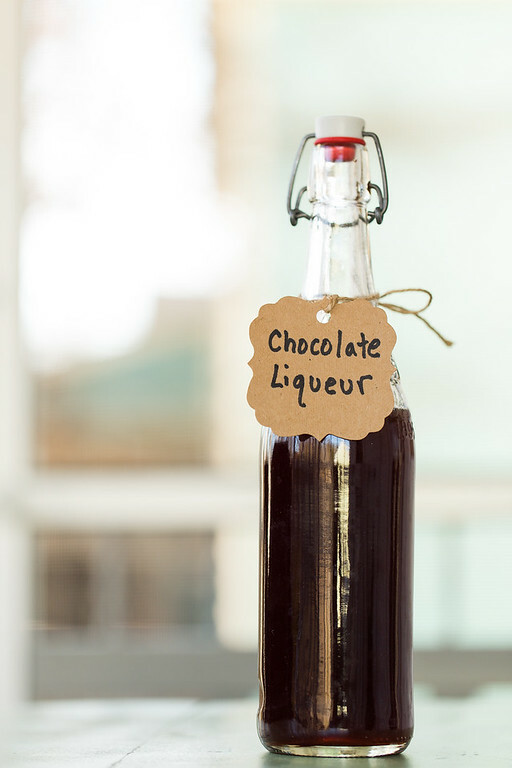 Everyone loves this Easy Homemade Chocolate Liqueur! The Rose Infused Vodka is so easy and adds an elegant touch to your cocktails! It also makes a great gift! Place the rose petals and vodka in a lidded jar. Shake to combines. Store in a cool dark place for 3-5 days, shaking daily. Strain through a fine mesh strainer into your preferred bottle. It would make a great gift especially for cocktail loving friends! 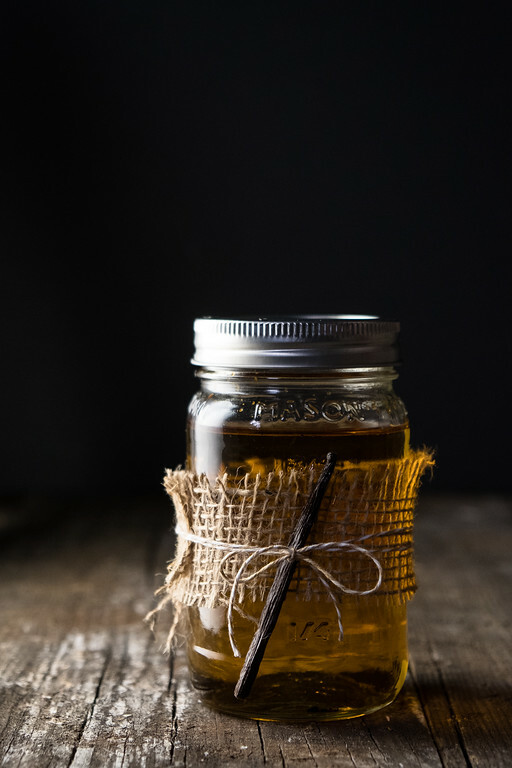 I feel like I would have been intimidated to try infusing liquor, but you have made the whole process seem so easy! Great for a night in with the girls. It would be perfect for a night in with the girls! I am liking everything about this recipe! Rose flavored vodka..wowww! I really want to make homemade gifts like this one this year. Such a great idea and I know a few people who would love this! It does make a great gift!